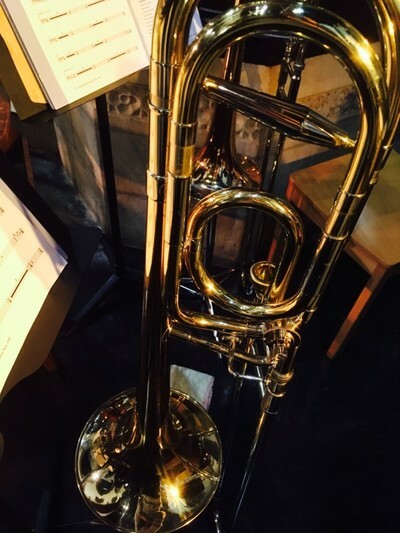 "Both the Deputy Mayor and Deputy Mayoress enjoyed the music having played a number of the pieces themselves as members of Morcambe Brass Band. They found the Call to Prayers particularly moving." "Thank you very much to all those who arranged and took part in The Armed Man. 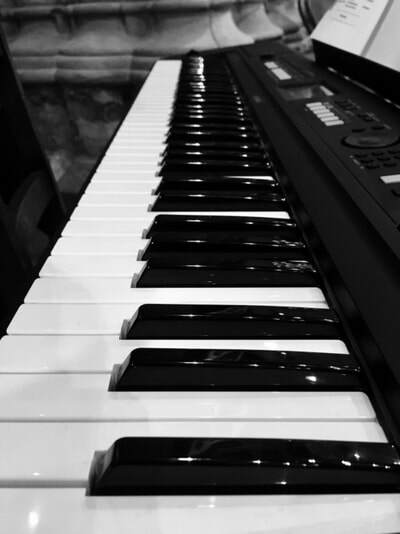 It was a truly magnificent evening brilliantly arranged and performed." President, Chairman, Secretary and Branch Community Support Representative, Lancaster Royal British Legion. A bucket collection collected £620 for the work of Royal British Legion Poppy Appeal - Thank you to all who supported them. 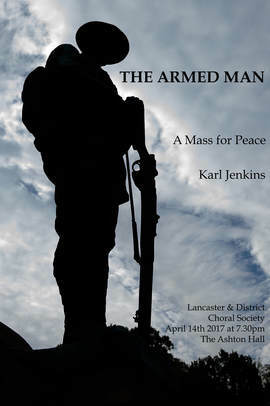 The Armed Man is a Mass by Welsh composer Karl Jenkins, subtitled "A Mass for Peace". 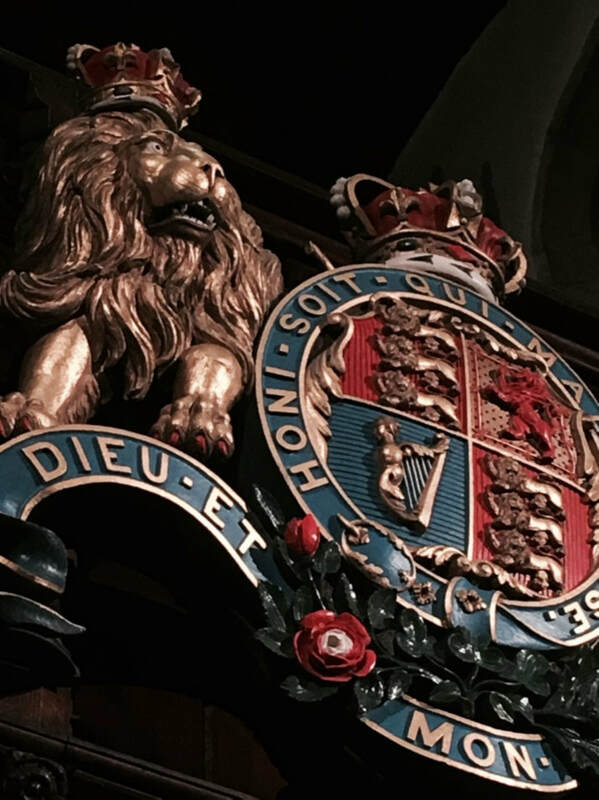 The piece was commissioned by the Royal Armouries Museum for the Millennium celebrations, to mark the museum's move from London to Leeds, and it was dedicated to victims of the Kosovo crisis. 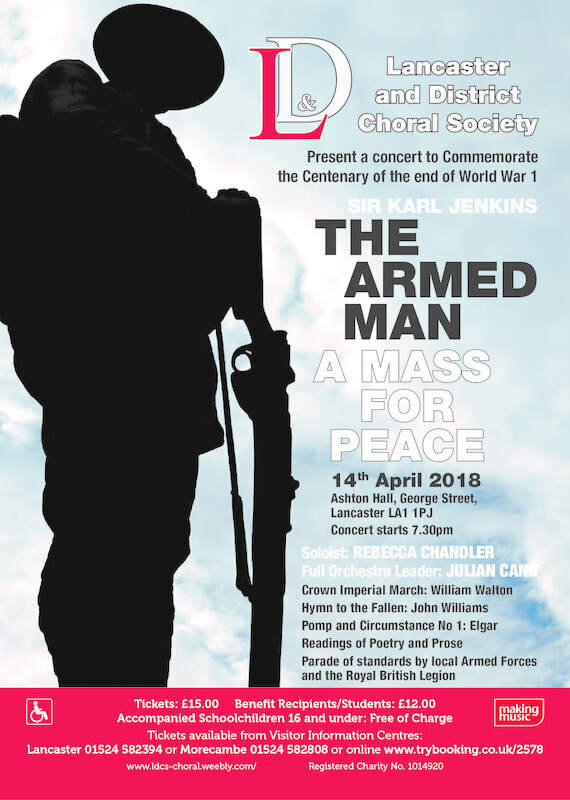 Like Benjamin Britten's War Requiem before it, it is essentially an anti-war piece and is based on the Catholic Mass, which Jenkins combines with other sources, principally the fifteenth century folk song "L'homme armé" in the first and last movements. It was written for SATB chorus with soloists (soprano and Muezzin) and a symphonic orchestra. Guy Wilson, then master of the museum, selected the texts for the mass. The Armed Man - Programme (.pdf) Contains in depth information. We would like to thank the following Standard Bearers for their time and commitment in supporting our event.